I use acrylics to paint a variety of subjects. Lately I have been painting semi- abstract works of towns and cities around the world. However I rarely stick to one style and done everything from animals to traditional landscapes Relevant previous experience I have painted and drawn from a very early age as my father was an artist and encouraged me from the age of about four. After bringing up six children and working as an Art teacher I retired in 2016 at 68yrs, thus giving me time to now indulge in my art work. I exhibit at numerous locations, sell quite often and paint for pleasure too. 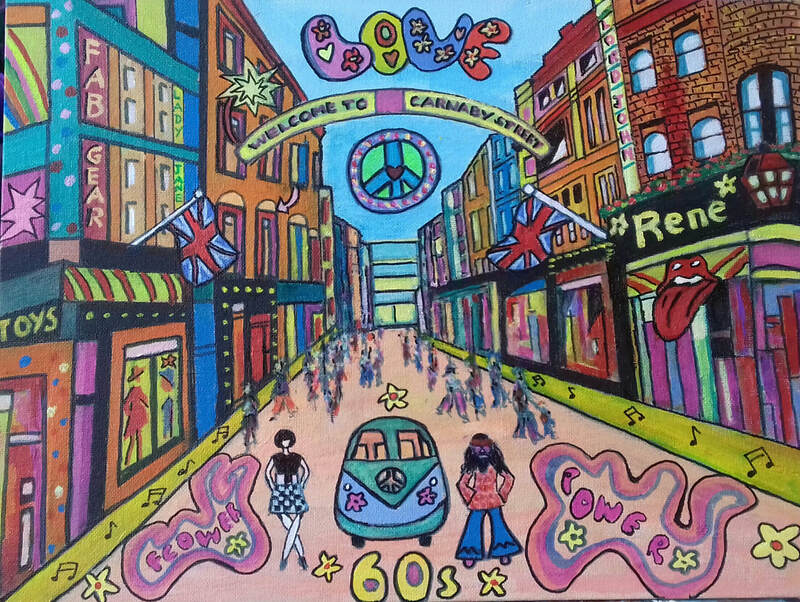 ​This is an era very relevant in my life , bringing back happy memories and sort of showing how certain streets have changed, not only for the better as we have lost some of the colour and vibrancy evident in the 60s. Send a nice message to show you appreciate Lynne Dobson's work.